Our quartet played music for a wedding yesterday. Just before we started the prelude a boy who looked about four ran up to us and pointed out to his mother that one of us was playing a cello. She almost apologetically told us that he watches YouTube videos. I told the boy's mother that it was fine with us if he stood by us and listened. He did. He stood there for the whole time we were playing, often moving his left hand in sympathy with our cellist's left hand. Sometimes he danced. It was a long wedding ceremony, and he kept quiet as long as the priest was talking, but when things got really quiet (like during the vows) he wanted to tell us things about himself (that he fell and skinned his knees while he was at the zoo). At that point his mother whisked him away, despite his protests. She let him come back to hear more of the music. I certainly hope that his parents get him a cello and find him a good teacher in the not-too-distant future. What I loved about this was that not only did this boy physically enjoy the music, he considered the four of us people he would like to talk with. Perhaps he found his "people." There was a young bridesmaid who was sitting near us (she looked to be about five). Her mother brought her off to the bathroom during the ceremony, and while she was returning to her pew she whispered to me, "I like THAT." 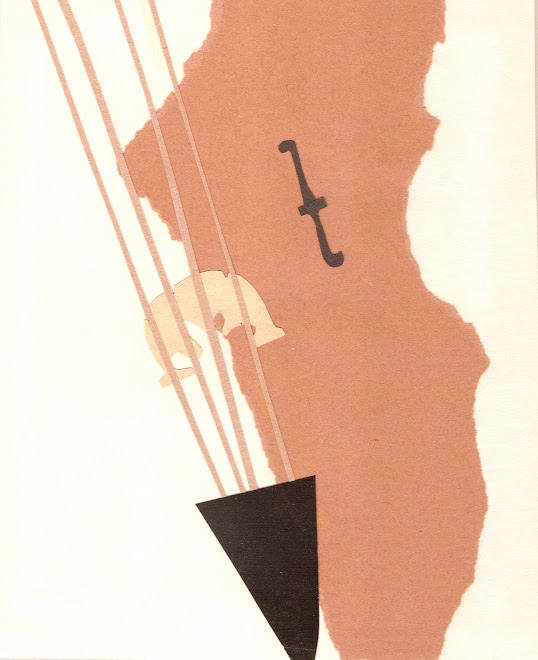 Maybe she noticed that the boy was all agog about the cello, and she thought that the viola was more to her taste. There were babies crying here and there, which made me think about Wigmore Hall's "For Crying Out Loud" series. It's a series of concerts where parents pay admission, and babies (who must be under one year), come for free. The performers are Royal Academy of Music students who might benefit from performing in an environment that might be less than quiet. I imagine it is probably a nice place for parents of infants to meet other parents of infants who like music. There are also concerts geared for one-year-olds and two-year-olds and their parents. A friend sent a video of a psychiatrist discussing his take on narcissistic personality disorder, which turned out to be a report on his own personal brand of narcissism. I found it to be engaging, but ultimately unrecognizable. Since I live a musical life, I encounter all sorts of people who could be labeled "narcissists." I would venture to say that all musicians have some narcissistic traits, but the presence of narcissism in musicians is really about degree, and about balancing narcissistic traits with other traits. Someone in music who has absolute pitch, physical skills, a good memory, and a healthy helping of intelligence could easily believe that those traits make him or her "better" than others. I have a good friend who instills the importance of humility into her students, particularly the ones who have a lot of talent, intelligence, and ability. She instills into them the belief that because they have talent and ability it is their responsibility to work extremely hard and remain humble in the face of a much larger force that allows music to happen. She has been doing this for a long time, and it seems to work quite well. I don't know about these students' inner sense of self (who does but each individual), but I do know that the way they present themselves in social and musical situations reflects a healthy balance of self-confidence and humility. I believe that we all have a degree of narcissism that is hard-wired into us. If we didn't have it, we would not have survived infancy. Some of us have special physical traits that we either capitalize upon or ignore. Someone, for example, who is particularly attractive and is aware of his or her attractiveness will live a life that is "informed" by a certain physical presence whether he or she acknowledges it or not. Someone who is not conventionally attractive but has a highly developed intellect could cultivate a higher ratio of narcissism to humility. I wonder if the 21st-century power of instant and potentially far-reaching communication can throw the narcissistic/humility balance off, leaving us in a world of people more interested in the reactions of people to what they say and do than in pursuing interests, finding community, and sharing friendship. During my first semester at Juilliard I was filled with dread at the thought of my class piano teacher, Miss Frances S. Goldstein. She was very old, very gray, and smoked constantly. One of the two grand pianos in her teaching studio was covered with cartons of unfiltered Camel cigarettes, which she smoked throughout every group lesson. I remember bringing some Satie to my Juilliard audition, and for some reason unknown to me I was placed in a piano class far above my ability. I didn't know anything about scale fingerings or how to play without looking at my fingers. Frances Goldstein, between puffs on her cigarette, would chant, "tactile, tactile, tactile." She wanted us to feel the keys beneath our fingers as well played scales and arpeggios. I must have failed her class, because the next semester I found myself in a beginner class where I struggled. I have only shadowy memories of the other teachers I had at Juilliard, but Frances S. Goldstein remains in perfectly clear resolution. I even remember what her hands looked like. Every time I sit at the piano I think of her. Her name was Frances S. Goldstein. She was an irascible old woman who always had a cigarette in her mouth. She was tough, but she taught me more about music theory than anyone before or since. And when I had finished my scores for The Swimmer and Kotch, I thought it would be wonderful to share them with her. I wondered if she ever went to a movie. Her class at Juilliard was her life, that narrow room in which she kept emphasizing what was good and what was bad harmonically. If she gave you a check on one of our papers, you knew she meant it. If Miss Goldstein said you had done well, it wasn't said lightly to reassure you. You had done well. I dearly wanted her approval now. I wanted her to know that I hadn't forsaken or betrayed my musical training. I needed that gold star at the top of my homework assignment. With all that was happening to me, I needed her to reassure me I was on the right track. I was hungry for the approval of the heretofore aloof Miss Goldstein and wanted her to see that I was capable of doing serious work. I telephoned her and said: "Miss Goldstein, I'd love to have you listen to the music I wrote. I really think it's good." "Marvin, I don't have time to listen to this music of yours. I'm very, very busy." "But don't you even have time for a cup of coffee?" I asked. "I could bring the music with me." "No, no, no, no," she insisted. I was terribly disappointed. I wanted her to know that I understood her values, her virtues, her commitment. She may have been out of touch with the outside world, but in that world she created in her classroom, she believed wholly in what she did. And I was envious of that. I needed to have that in my life. That narrow classroom was an honest place where she devoted herself to the highest standards of music. I needed to get back into that room. Years later, I learned that Miss Goldstein was in the hospital with cancer. A tiny woman who had always weighed about ninety pounds, she was not expected to live. As I looked down at her frail body in the hospital bed, it was hard to recall the teacher who seemed so tough and formidable at Juilliard. She told me that her students didn't visit her, and this did not surprise me. She was a killer in the classroom and not immensely likable. Now she could barely speak. Those ever-present cigarettes had ravaged her throat and finally done her in. We talked of the old days at Juilliard and of my new career. Finally, it was time to go. "Good-bye, Miss Goldstein," I said, and started for the door. "I really should have taken time for that cup of coffee." Since I think about her so often, I would really love to know something about her. Perhaps there are other people with memories of Miss Goldstein who could add something more to the picture Mr. Hamlish paints (yes, I know, with himself in the center), and the one that is in my memory. Luthier Korinthia Klein visited the national Music Museum in Vermillion, South Dakota last week, and she made an excellent and extensive post about her experience. You can take a series of virtual tours of the museum here, but the eye of a luthier adds a great deal of depth to the experience. Now that I have seen two of the greatest keyboard instrument collections in the world (in Ashburnham and in Newton), Vermillion is next on my list! In the beginning of May, Fresca, a person who often comments on Michael's blog, posed a public question to people who continue to keep blogs on the internet. Michael answered promptly in this post, but it has taken me a while to come up with an appropriate response. I have decided to make my contribution in the form of an interview because I can. I have full editorial control of my blog. I'll even have an old alias (a name I used to use to deflect unwelcome male attention in public places) do the interviewing. Veranda Davenport hasn't been in my life for a long time. Veranda: I see that even though you are on Facebook you still keep a blog. Why do you need to write long blog posts when you can instantly share pictures, birthday greetings, and observations with hundreds of people you know? Elaine: There is a "notes" feature on Facebook which works kind of like a blog, but most Facebook users prefer to scroll through pictures clicking "like" when they see something they like, and leave brief comments that are either witty or supportive. Facebook is a good way to stay "in touch" with friends without going too far beneath the surface. It is kind of like "seeing" a lot of friends in a crowded cafeteria (all the cafeterias of life combined, perhaps) and exchanging, smiles, brief greetings, and words of support. The greetings have to be brief and pleasant because the cafeteria is a public space and there are many people to greet. I find the "cafeteria" a bit too noisy for substantial relationships. Perhaps the blogosphere is more like an array of sit-down restaurants that you go to for interesting well-prepared food and intelligent conversations. Sometimes I make links to blog posts (posts I write or posts from Michael's blog) on Facebook. A handful of Facebook friends read them, but most of my Facebook friends don't. People do more and more of their on-line browsing using smartphones. The little box for comments and the clumsiness of the smartphone keyboard makes it more and more difficult to comment. That is a shame. I miss the free exchange of comments that used to be part of the blogging experience. Veranda: Your blog posts do not seem to have any rhyme or reason. Why don't you give your blog more structure? Elaine: I like to write what I feel like writing when I feel like writing it. Blog posts are not really bound in time. It's probably a good thing that most of my posts concern subjects that are not connected with current events. My Thematic Catalog blog is very structured, but that's because it's a functional catalog of music that I have written. I don't see any reason to structure my Musical Assumptions blog, so I don't. Veranda: A lot of people keep blogs in order to promote themselves and the work they do. Why don't you use your blog to promote your work? Elaine: I love the idea of sharing information, music, and ideas, particularly ideas about playing and teaching. I do what I can to let people know about the music I have written by linking to my Thematic Catalog blog, but I really see no reason to go beyond that. I prefer to have my work evaluated by people who play it and people who hear it. I don't feel any desire to make any claims about the quality of the work I do. People can make their own choices. Richard Kogan combines the insight and experience of a psychiatrist with the musical sensibilities of a terrific pianist. A few weeks ago I made a post about a lush 300-page catalog containing photographs of and information about the hundreds of instruments in Marlowe Sigal's personal collection. This past weekend my father, Michael, and I went to Mr. Sigal's house and were able to see (and even try some of) the instruments in his collection. The house itself was built around a tracker organ. The console sits in front of a grand staircase, and the largest pipes are set into the wooden paneling. Some sets of smaller pipes peep out into rooms on the second floor. The instruments are everywhere: the basement and the first floor are filled with keyboard instruments, and the upstairs houses mainly woodwinds. The relatively few stringed instruments in his collection hang on walls and sit on top of covered keyboard instruments. I had the great fortune to try a 4-key flute made in 1800 by Heinrich Grenser. Here is a modern copy of an instrument that looks like the sort of instrument I tried. The sound was beautiful and extremely flexible. I could get dozens of tone colors from the instrument, even though it probably hadn't been played for a very long time (I could tell because the corks that covered some of the keys were dried out). I have played modern copies of 18th-century flutes, but this was the first time I had ever tried an actual 18th-century flute. The feeling was kind of unreal. Think of the lips and fingers that had touched that instrument! Think of the breath that had gone through it! Playing it felt like walking through a door to a secret musical world. The whole experience of visiting was literally one of walking into secret and rare musical worlds. Mr. Sigal is a very kind man, and he is a person truly dedicated to understanding and preserving treasures from the musical past. Like our mutual friend (and my elementary school music teacher who grew up in the same town that houses this collection) Patricia Frederick, he is extremely generous with his time and his musical treasures. All the instruments in the collection are exactly as they appear in the photographs in his book. Adam Grossman has been the conductor and music director of the Master Singers for 20 years, but I can proudly say that I have known Adam for nearly 40 years: we met in Junior High School. I have known violinist Frank Powdermaker, who played the violin solos on the program, for even longer than I have known Adam. When I was in fifth grade and he was in sixth grade, we were stand-partners in the All Newton Elementary School Orchestra. Adam and Frank were my friends and musical mentors through Junior High School and High School. The last time I heard Frank play or Adam conduct was some time in the later 1970s. I had high expectations for the May 16th concert. The program had first performances of two pieces written by Adam Grossman, the Bach A minor Violin Concerto, the Bach Motet "Lobet den Herrn, alle Heiden," the famous Bach chorale "Jesus bleibet mine Freude" from Herz und Mund und Tat und Leben, BWV 147, and Bach's Cantata 196 Der Herr denote an us. My role as a variationist is not to manhandle the tune and make it do my bidding, nor is it to place it in front of the mirror dressed in funny hats. Respecting the theme as a creature of its time and place, the challenge is then to set that aside and see what lies latent within the material, to pull a thread or remove a layer and see what else the theme might become, or in what other direction it might go, while remaining free of gimmickry and making something that is, in the truest sense, entertaining. A more technical concern is ow to work with a tonal theme in contemporary musical language in an honest and meaningful way. Traditional techniques, including canon, fugue and dance forms, all of which Boyce would recognize, help connect with the older music. Saturday evening was the first time I had heard music written by Adam Grossman since high school counterpoint class with David Levenson. Adam was my musical hero then, and after hearing these two pieces he remains one of my musical heroes. My first impression of Adam Grossman as a conductor came during a dress rehearsal of a junior high school production of The Marriage of Figaro (at Weeks Junior High we did an opera or operetta during the first semester and a musical during the spring semester). Adam played the part of Dr. Bartolo, and I was one of the flower girls. We had a full orchestra that was enhanced by Adam's high-school-age bassoon-playing brother Jonathan (bassoon is a must for Figaro), and conducted by our music teacher Frank DaDario. I don't know how it happened, but all of a sudden Mr. DaDario's baton was in Adam's hand during an interval when the actors/singers were not at work, and Adam conducted the overture. It was spectacular. It was one of the defining musical moments of my childhood. Up to that point Adam only presented himself as a terrific singer and a really good violinist, but it was clear to everyone that he was a natural conductor. Perhaps he knew it then too. He conducted his way through high school, and has been working with choruses and orchestras ever since. I have worked with great choral conductors. 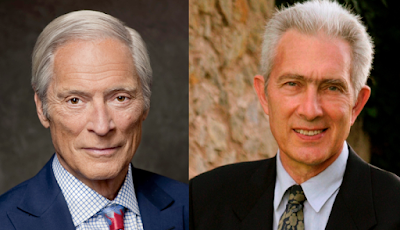 Some choral conductors handle the demands of working with singers who may or may not be professional singers, but few choral conductors physically understand the needs of string players and singers in combination with organ. Adam Grossman does, and his ability to communicate everything instantly and intuitively made the Bach Motet performance exceptional. Credit should be given to organist Eric Mazonson, who has worked with Adam Grossman and the Master Singers for the past 18 years. Bach's Cantata 196, an early wedding cantata, features an aria and a duet. The soprano aria is usually done with a solo soprano and more than one violin (the first violin section), but this performance had the soprano section singing the aria in unison, with the violin section obbligato played (beautifully) by Frank Powdermaker. The excellent tenor and bass sections sang the tenor and bass duet to balance the soprano section's singing of the aria. Frank Powdermaker and I went from being fellow musicians at Newton South High School to being classmates at Juilliard, where he studied with Dorothy DeLay, and played like one of Dorothy DeLay's good students. The adult Frank Powdermaker's playing of the Bach A Minor Violin Concerto Saturday night was extraordinary. His concept of sound, his articulation, and his sense of phrasing reminded me of a cross between David Nadien and Nathan Milstein. Really. And I just saw in the program that he studied with Nadien in New York and worked with Milstein in Switzerland. Many violinists who play their instruments well, but there are few 21st-century violinists who "walk the walk" with the musical values of the early 20th century. It was one of the most exciting and beautiful performances I have heard of the piece, and the best performance of it I have had the privilege of hearing in real time and in real acoustics. He was accompanied by violinists Adam Grossman and Beth Abbate, violist Dimitar Petrov, cellist Jane Sheena, bass Robb Aistrup, and Mazonson playing harpsichord. 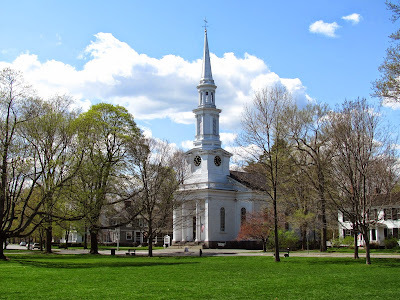 The concert was held in a Unitarian church in Lexington, Massachusetts, located across the street from the famous Minuteman statue. The acoustics in the church were excellent, and the community was extremely comfortable and congenial (our high school principal--now retired--was in the audience). I always thought that Lexington was far away from Boston, but I was surprised to see how easy it is for people to make their way from Boston to the center of Lexington by way of the commuter train. It doesn't take long at all to drive 13 miles from Newton (or any town with access to Route 128) to Lexington. It's also easy to get there from Cambridge (9.5 miles). My brother, who goes to several concerts a week around the Boston area, took us to the concert. He enjoys the chance not to have to deal with the frustrations of traffic and parking he encounters when going to concerts in Boston and Cambridge. I found it a great pleasure to hear such excellent music making. I'm looking forward to the opportunity to hear The Master Singers of Lexington again. Kevin Ashton, the writer of How to Fly a Horse (that's a link to Ashton's website, not to the book, which is here), makes a great case for the idea that genius doesn't really exist, there is no such thing as writer's block, and that it is as natural for every human being to create and be creative as it is for every human being to breathe. I found the book to be comforting. I'm happiest when I'm working on something, and the joy of doing anything for me is in the doing, not the "having done." Ashton makes a great case for creating things because you want to, regardless of receiving compensation for making them. I also found the book to be inspiring. Ashton makes the point that nothing comes from nothing, and that we all contribute to the world by standing on the shoulders of people who came before us, who were in turn standing on the shoulders of people who came before them. Right off the bat he debunks the myth that Mozart didn't need to work on the music he wrote (that it came to him fully composed and he just needed to write it down), and soon thereafter he devotes a whole chapter, and then some, to Rosalind Franklin, one of my heroes. We all have strengths and weaknesses. Most people are better at some things than they are at other things, but everyone has the right to be creative, and everyone has the right to create in his or her own way, regardless of affiliations, styles, rules, and all the artificial barriers that get in the way of indulging in the life-affirming act of making things up. Thank you Kevin Ashton for writing such a wonderful book. Mourning the loss of a family member is complicated and constant. It is an experience that doesn't really have "closure," because even when the person is no longer "there," the personal relationship that the living person has to the one who is no longer alive goes on. The retrospect becomes clearer and more in focus, even in the case of a person as complicated and unknowable as my brother Marshall. Both Marshall and I "work out" our feelings by writing music. (I keep Marshall the composer in the present tense because music exists in the present tense.) I knew that the best way for me to work out the feelings I have about my brother would be to write music, but after his accident writing didn't come easily. 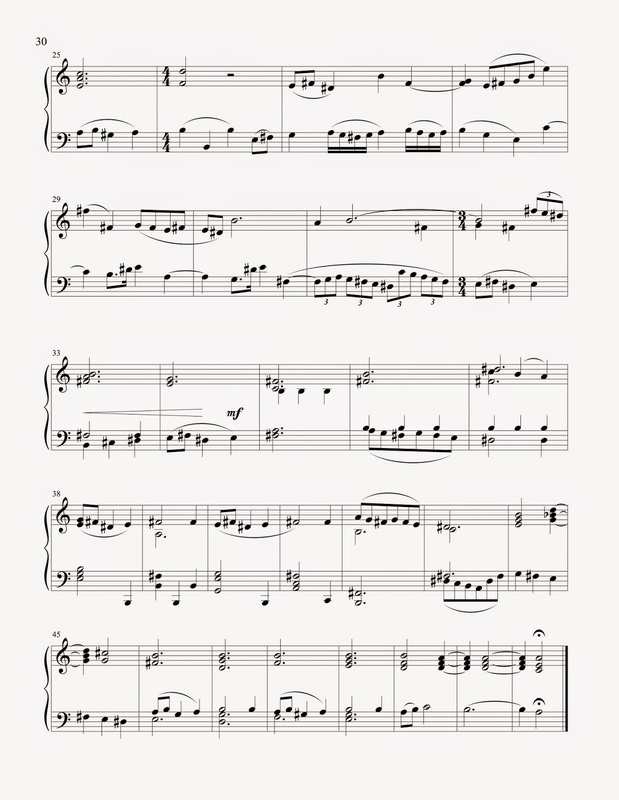 During the Jewish High Holy Days, which began in late September, about a month and a half after Marshall's accident, I wrote a short piano prelude. I thought it might be a good idea to write one prelude for each month of the Jewish year and dedicate the set to the memory of Marshall. I imagine that Marshall would approve of this kind of tribute. There are thematic references to different aspects of the months that serve as a kind of skeleton for each prelude. Some are obvious, some are notated, and some are veiled. I know of no other set of calendar pieces dedicated to the months of the Jewish year. Perhaps this is the first. 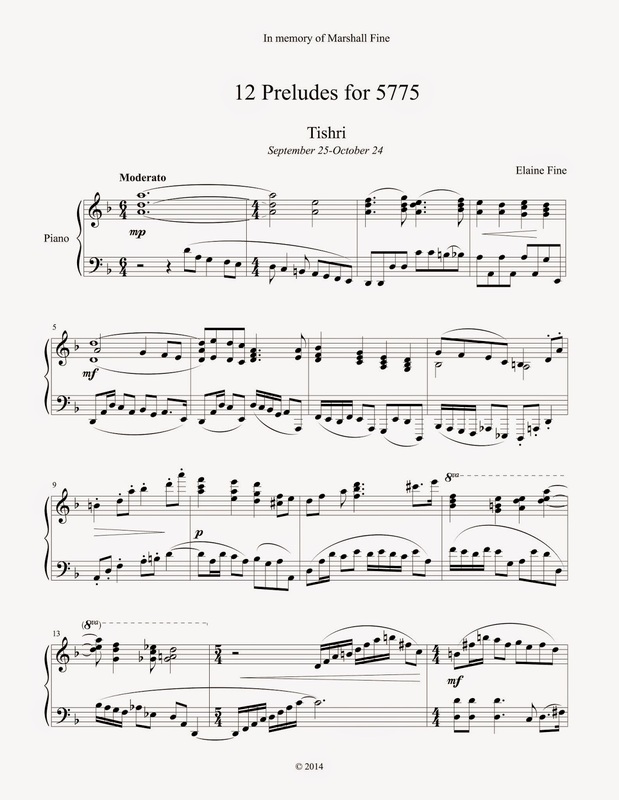 My intention was to write one prelude per month. At first it was difficult, but it got easier. 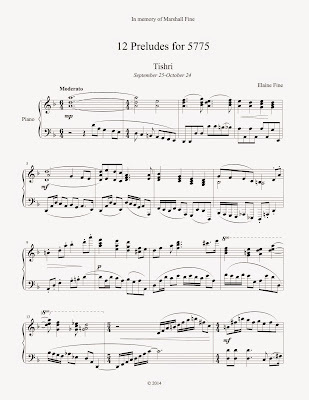 Then ideas started popping up for the rest of the year, so I abandoned my original plan and wrote the final four preludes before we even reached the month of Sevan (which begins May 20). Now the set is finished, and it is in the IMSLP. I adapted one of Marshall's fugue subjects so it wouldn't modulate, and used it as the opening material of the final prelude. 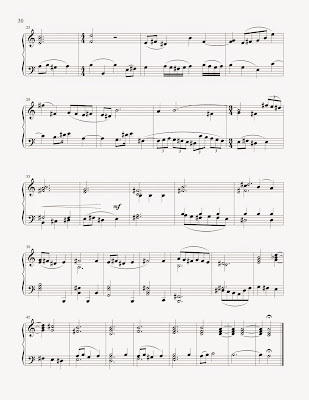 I mingled it with the fugue subject from Marshall's favorite fugue, the E minor one from the second book of Bach's Well-Tempered Clavier (you can see it above as the pickup to measure 26). Then I brought the piece to an end too soon. Somehow it feels right to share this piece in this way. In January Arnold Steinhardt wrote a lovely blog post about leaving a party wearing Bob Simon's coat, and the friendship that developed after they met to swap their coats back. The other day Mr. Steinhardt wrote another lovely blog post about the musical aspects of their brief friendship. I love hearing a group I kids I do not know play music I have written!